Both cheerful and lyrical season evoked the joy of harvest and before-winter-melancholy on artists of all times. Autumn starts with gaining and finishes with loosing. Paintings about this season are filled with prosperity of harvest and unavoidable withering, temporary death in front winter’s face. Such duality found its place on canvases dedicated to this season. On this canvas autumn is depicted in all variety of its brown, orange, yellow and golden shades. 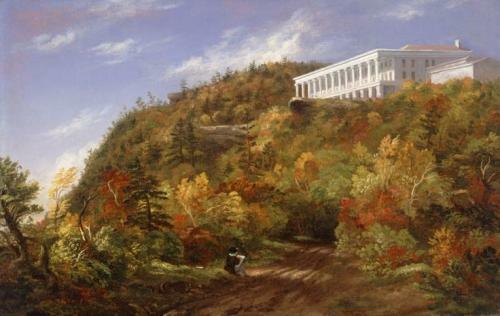 White colonnade of Catskill Mountain House stands above forest which is dressed in clothes of early autumn. 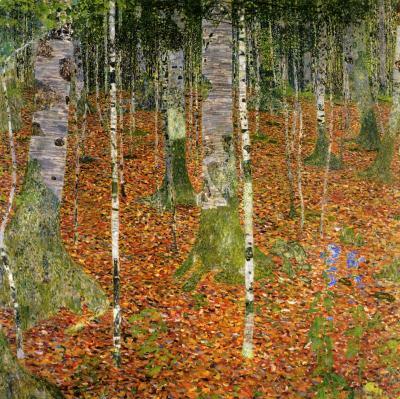 This painting accurately represents magnificence of one certain moment at the beginning of fall. 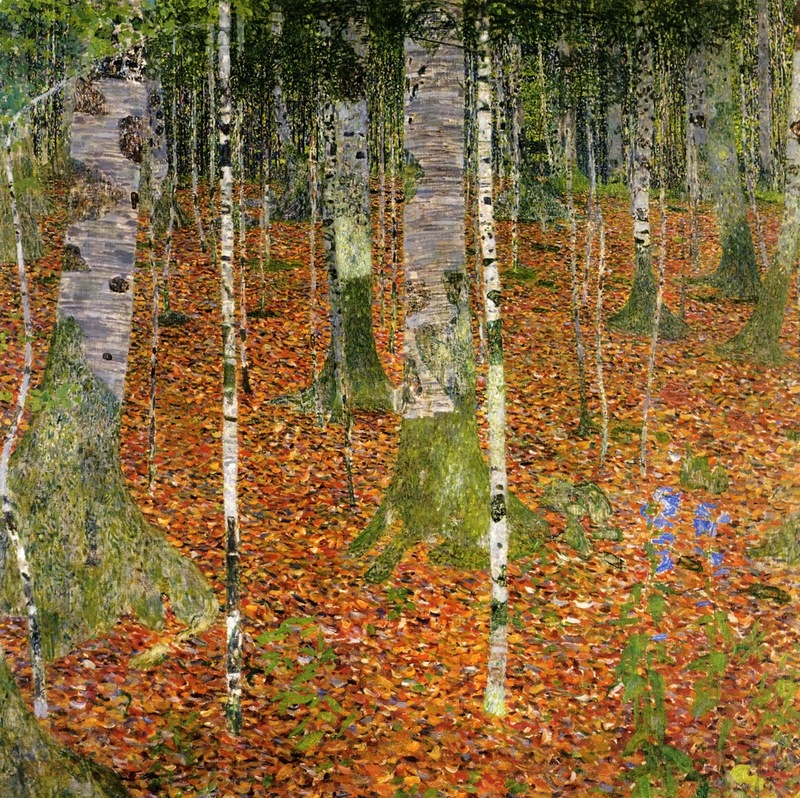 Gustav Klimt was ambiguous person. Along with candid portraits he wasn’t indifferent to beauty of nature. 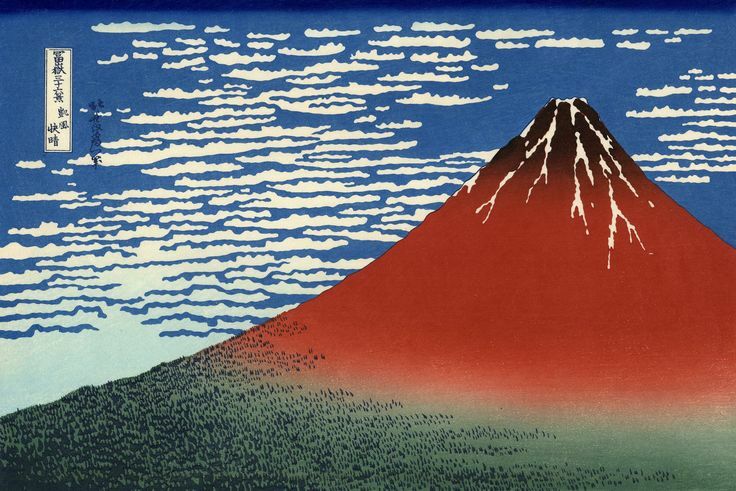 This painting is created with Japanese method. Treetops were cut intentionally to create depth. Fallen yellow leafs are creating contrast with white birch trunks and bring special feeling of the coming of autumn. 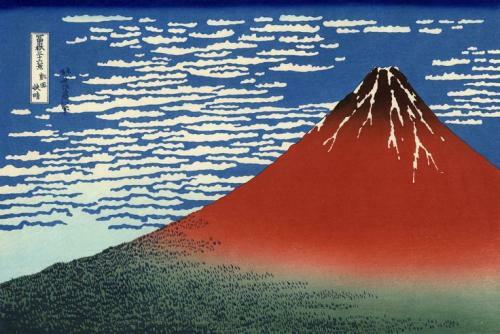 In certain weather conditions at early autumn slopes of Great Fuji may turn red under rays of setting sun. Transitions of colors of sky seem to be mirrored in shades of mountain. This simple yet deep image with distinctive geometry emits atmosphere of admiration at the end of still warm autumn day. This piece represents “pure beauty with no subject”. 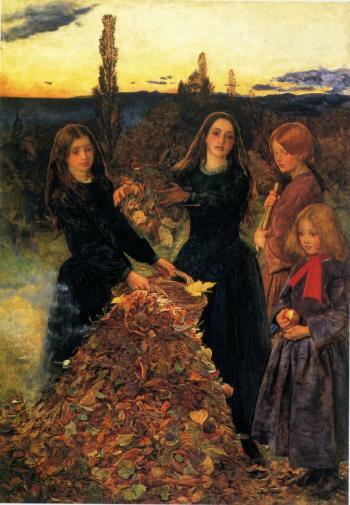 This poem of twilight and smoke depicts four young girls. The make the bonfire with gathered leaves. Fire itself as the sun are invisible they only recognizable by their manifestations. “Autumn leaves” is the beautiful song with a bit of sadness. 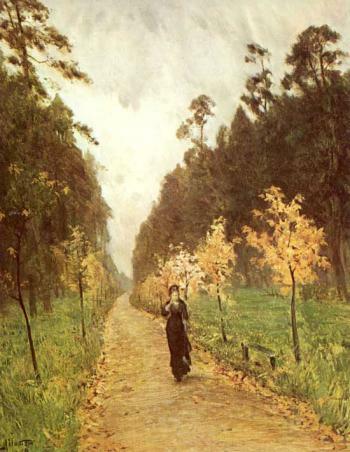 This painting is the only landscape with person on it which was painted by Isaac Levitan (although walking woman was added by his friend). It depicts sad, rainy, and cloudy autumn day in park. Despite the mood of picture it was the first step to wide acceptance of artist. 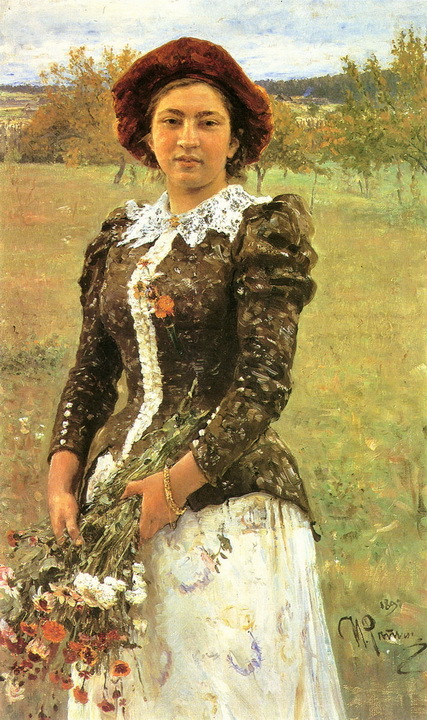 This portrait of elder artist’s daughter opposes young cheerful girl to unavoidable autumn withering. Rough autumn flowers and gentle palms, fresh young face and dull piece of sky are contrasting each other and simple portrait gains deeper sense.